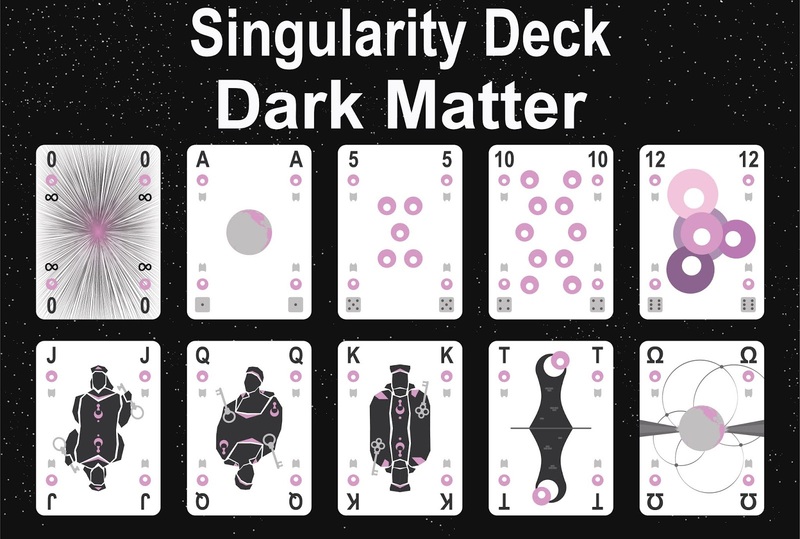 The Singularity Deck - Cosmos Full Set contains six suits: Antimatter, Planets, Stars, Dark Matter, Dark Energy, and Asteroids. 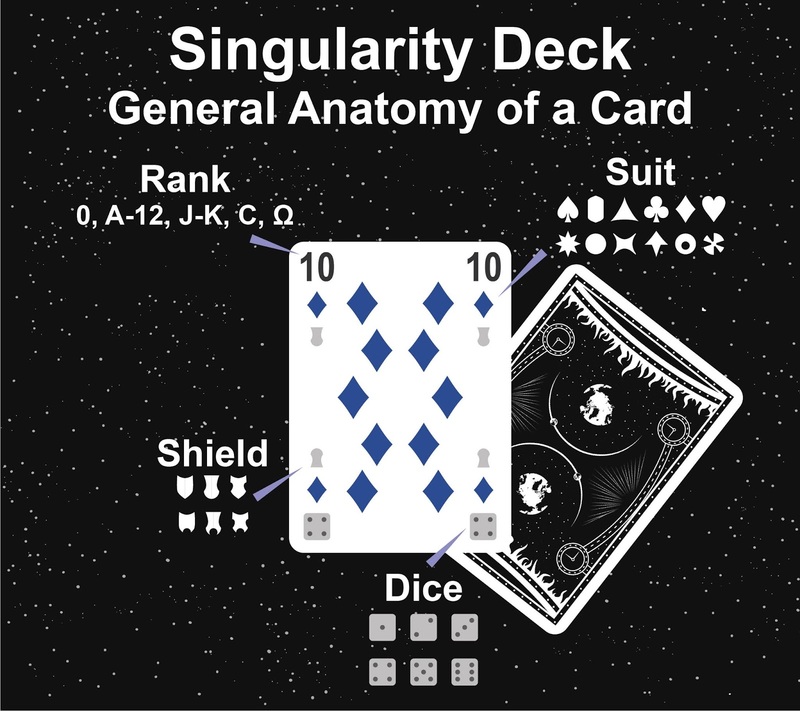 Each Suit contains all standard playing card ranks (A thru K) plus a few extras including an 11 & 12, a singularity card, a Tower card, and an Ω card. 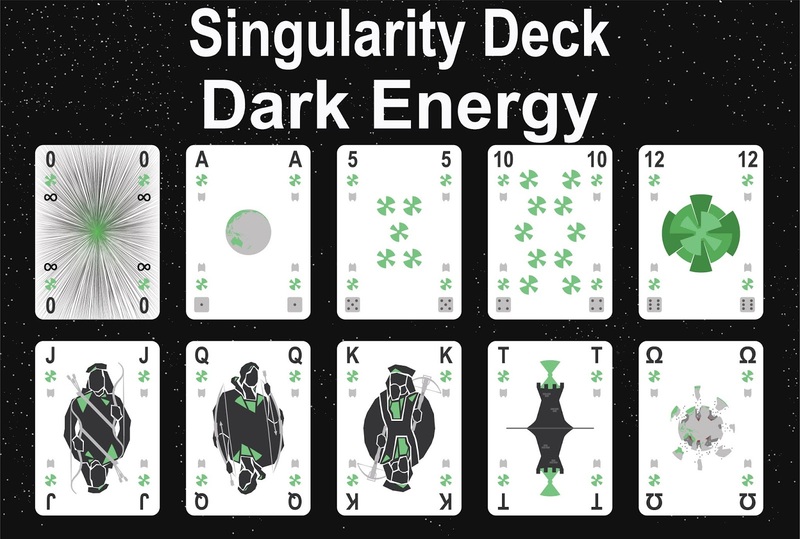 They each include three copies of the A-rank and one copy each of the other ranks, for a total of twenty cards (A,A,A,2,3,4,5,6,7,8,9,10,11,12,J,Q,K,T,Ω, and singularity) per suit. 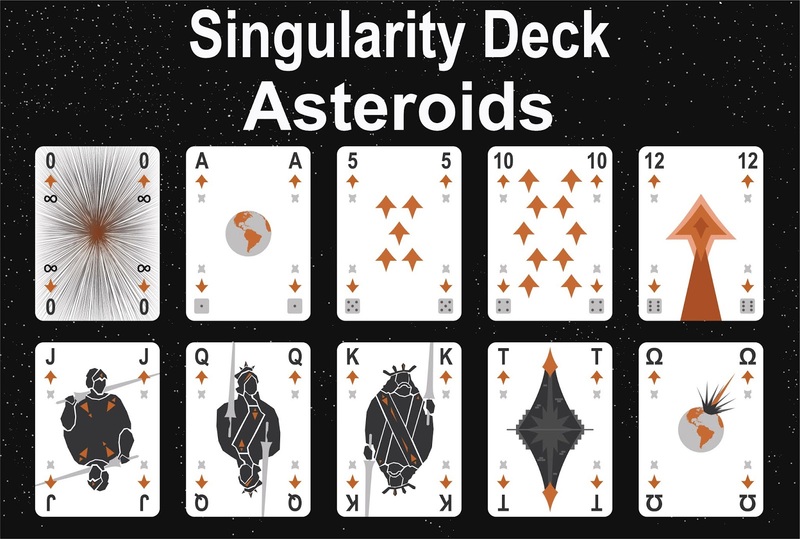 Hi Andrew, I should have them up in the next couple days. Thanks! 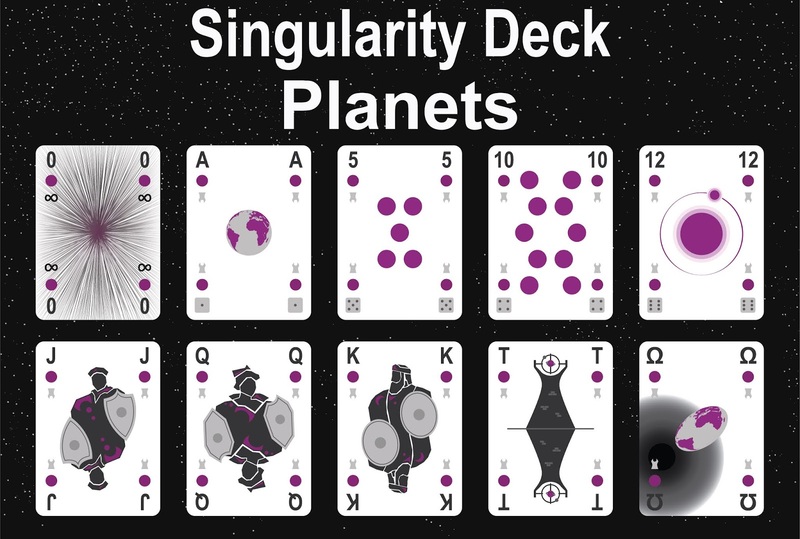 Is there anyway I can get your contact information? 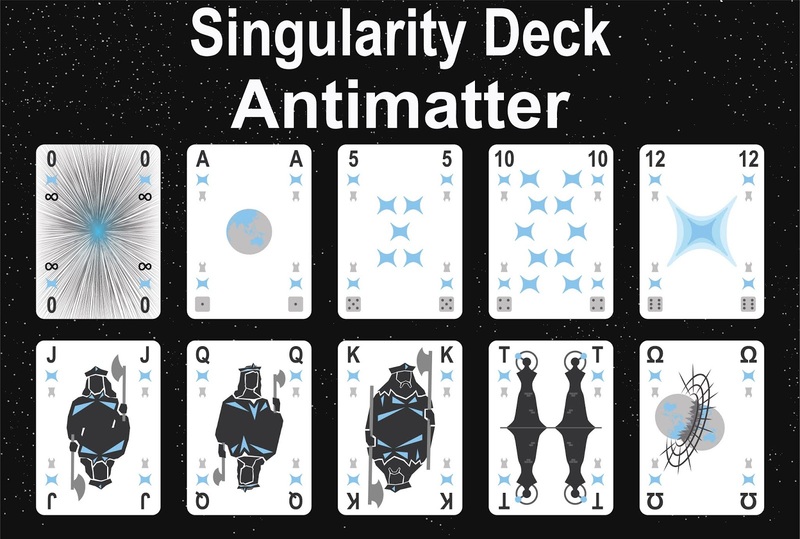 I have a few questions on the design of these playing cards. Thanks again! 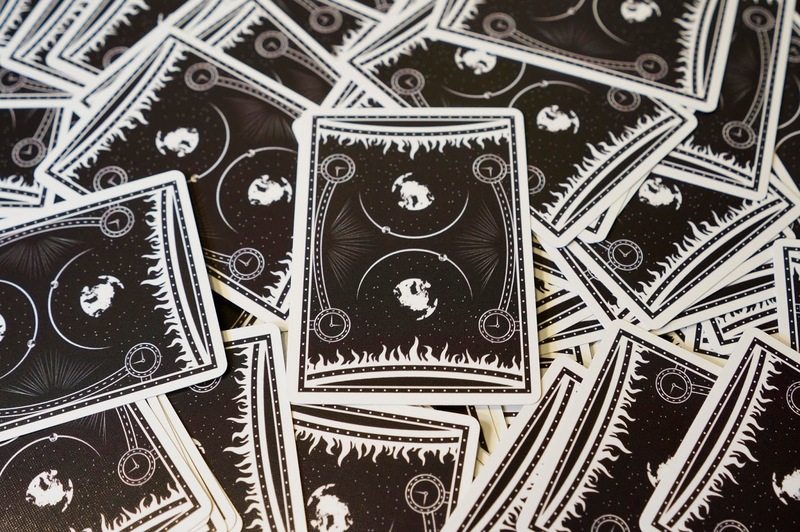 The extended rank cards for the Cosmos set are up! 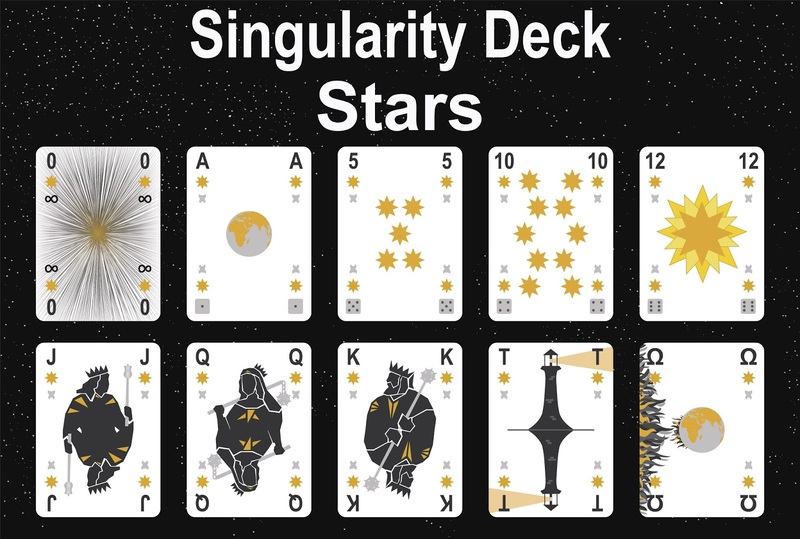 There are more details about the card design on my site: http://www.singularity.games/p/deck.html if you still have questions you can email me at matthew@whathandsyield.com, or of course you can just ask me here.